Last year I attempted this marathon and it was a complete and total failure! I think part of what happen was psyching myself out by trying to do both movies and TV show pilots. So this time I am going back to just movies spanning from 1969 to 2016. If any movies from other marathons I am doing also works for this marathon it will count for both marathons and I will provide a link in this one to the other thread. Hopefully this way I will actually complete the marathon this year... wish me luck! I been wanting to see this one every since I first heard they were making a sequel.... as I enjoyed the first one so much. And I must say... while I enjoy the first one a little more... I really liked this one as well. Lots of laugh out loud moments with many (if not all) the characters from the first movie. 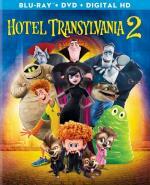 I can see myself watching a Hotel Transylvania double feature often! It is a must see if you liked the fist one. Alexander Dumas' stirring classic tale of injustice, revenge and retribution, in which Edmond Dantes (Richard Chamberlain – The Thorn Birds) is falsely accused by three men of conspiring with Napoleon. 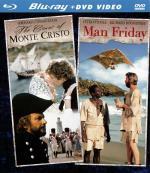 Prosecuted by the conniving De Villefort (Louis Jourdan), he is sentenced to an agonizing life on the isolated island fortress of Monte Cristo. The dying Abbé Faria (Trevor Howard – Superman) tells Dantes of a secret treasure. Dantes escapes, finds the treasure, assumes the identity of the rich and revered Count of Monte Cristo, uses his enemies' corruption and greed as weapons to utterly destroy them and wins back the heart and hand of his love, Mercedes (Kate Nelligan – Eye Of The Needle). Also starring Tony Curtis (Some Like It Hot) and Donald Pleasence (Halloween). We watched this one last night. Before then I never even knew of this version of the film. I must say I enjoyed it quite a bit. The film looked great and the cast did a really good job. The story kept my interest with ease. This is one I would recommend seeing. Friends has been recommending this film to me for years... and I finally got around to watching it. I found the movie to be entertaining to say the least, There is a lot of funny stuff here. Some of it on the silly side but that was to be expected going in,,, and it wasn't overly so, It did surprise me a bit to see some graphic violence here... and even that was done in a funny way. Definitely worth checking out if you never seen it. Can easily see myself watching it again. This is a TV miniseries... and as it is with most tv movies and miniseries there is some familiar faces from other Television shows in it. In this case we have Thomas Gibson (Dharma & Greg) and Nancy McKdon (The Facts of Life). It is a good story and I definitely enjoyed it. But that being said it could definitely been better. I found that while some of the storm effects were cool... others was really lacking. I also found I just didn't care about some of the characters. But over all it is worth the watch. This one did get a sequel miniseries (Category 7: End of the World) which I enjoyed even more then this one. First of all let me say this one is not for the younger crowd. From what I understand if it wasn't for a few cuts here and there it would have gotten an NC-17... but they trimmed it down to get a (hard) R rating. That being said... I loved this film! while I have seen him before... I never really been that familiar with the character. So I don't know how well he was done compared to the comics... but they made him a great character here. Loved the action.... loved the violence... loved his sense of humor. It is definitely worth the time put in to watch it! Highly recommended! I saw Deadpool last week and quite enjoyed it myself. Noticing some superhero fatigue on my part, I was not blown away by it, but it was a very strong film in the genre. I also did not Deadpool before, other than the basic premise (self-aware comic book character). From what I understand if it wasn't for a few cuts here and there it would have gotten an NC-17... but they trimmed it down to get a (hard) R rating. 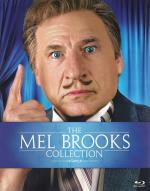 Mel Brooks' uproarious version of history proves that nothing is sacred as he takes us on a laugh-filled look at what really happened throughout time. His delirious romp features everything from a wild send-up of the film 2001: A Space Odyssey to the real stories behind the Roman Empire (Brooks portrays a stand-up philosopher at Caesar's Palace), the French Revolution (Brooks reigns as King Louis XVI) and the Spanish Inquisition (a splashy song-and-dance number with monks and swimming nuns). It's Mel and company at their hilarious best. It has been such a very long time since I seen this film. All I remembered was that I enjoyed it when I was a teen. And that remains true today. Lots to laugh at... and a good handful of actors that I haven't seen in ages. This is definitely worth a re-watch... if for no other reason then to remind yourself why "It's good to be the king!"